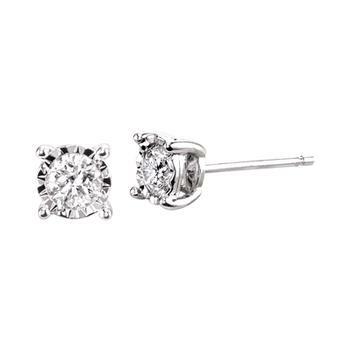 These beautiful 14k white gold diamond stud earrings have .30cttw, but in the "MIracle Mark" setting Look .75cttw. Sorry, this item is currently out of stock. Please contact us for information on availability.